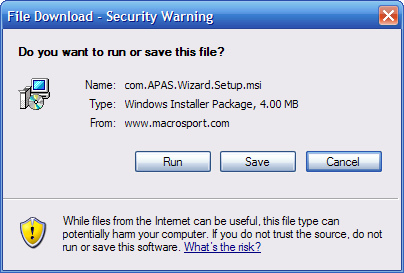 Choose Run to install APAS/Wizard directly on your machine or Save it for later use. 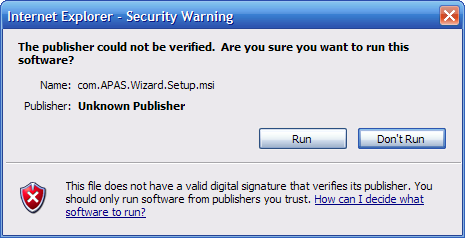 Install APAS/Wizard by running setup.msi and following the instructions on your screen. Enter a valid Site Key from Ariel Dynamics Inc. in the APAS Digitize module. Generated on 4/25/2019 1:40:41 AM (PST) ADI/HQ/GBA/2019/ARIELCLOUD/v3.0.2018.0126.